Black Caresoft upholstery with the look and feel of top-grain leather. 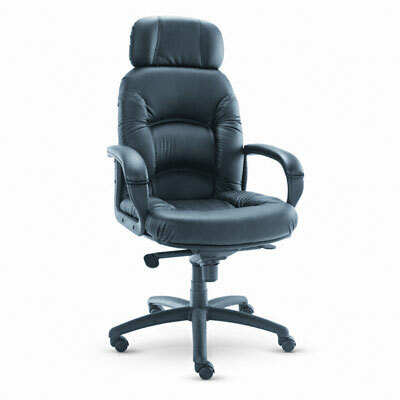 Tufted cushions, lumbar support and padded arms to provide all day comfort. Black padded polyurethane loop arms. Black steel frame. Padded headrest. Pneumatic seat height adjustment. 360° swivel.